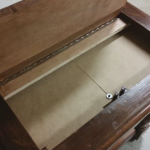 YouTube user PostmasterPrepper uploaded this video of his homemade secret compartment furniture. He took an old dresser and carefully cut out a rectangle in the top where the center panel met with the outer frame. A cross member and piano hinge was attached near the rear of the dresser. He added an interior shelf to access from the top. The rear edge of the top was beveled to allow it to clear the edge of the opening and top was reattached to complete the transformation. Any time he wants to access the compartment, he can push gently down on the rear of the hinged panel. 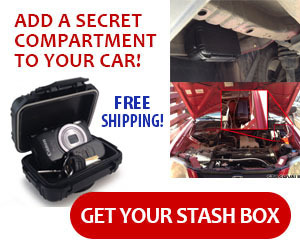 The front pops up and is easily opened. Take a look at his video. This is something you could easily put together with a second-hand dresser and a few supplies. Find a dresser with a tall piece of trim above the top drawer to achieve the most space in your new nook. 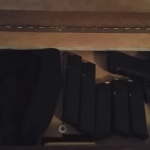 Many dressers and nightstands have enough space above that drawer to store guns, cash, keys and anything else you want to keep handy, but out of sight.